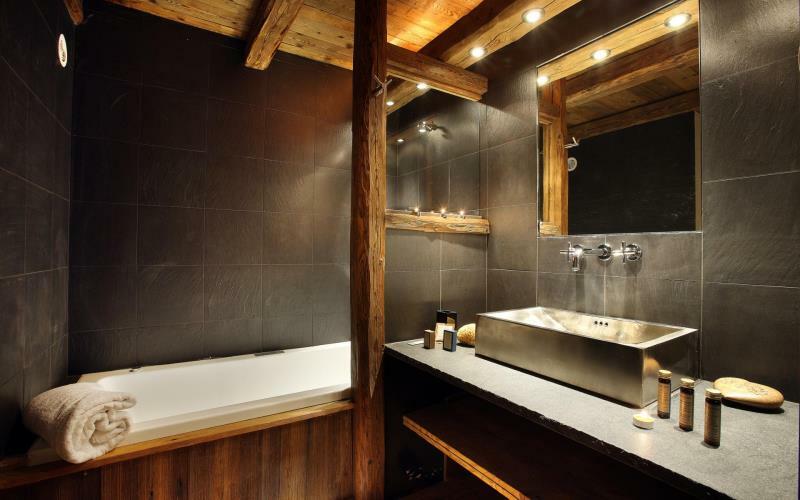 If It's Hip, It's Here (Archives): Chalet Citrine Is A Winter Getaway For Those Who Have Income To Accommodate Good Taste. 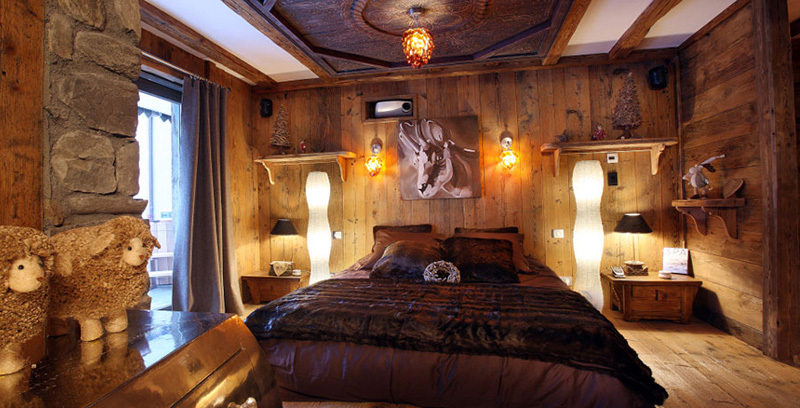 Chalet Citrine Is A Winter Getaway For Those Who Have Income To Accommodate Good Taste. 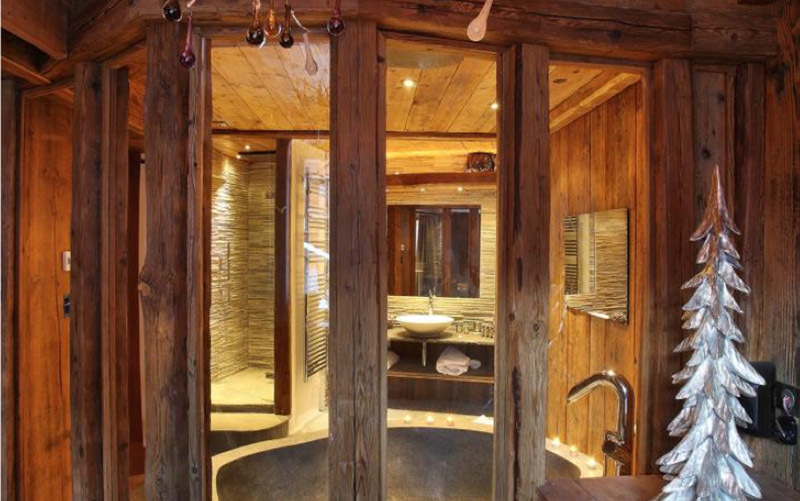 Ah, Wintering for the wealthy. 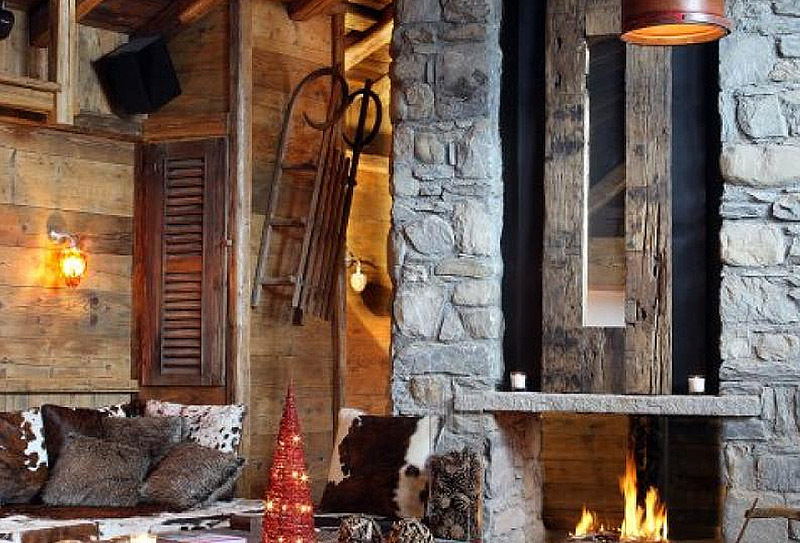 Winter Escape offers luxurious ski chalets in Verbier, Chamonix, Courchevel, Megève, Val d'Isère and Zermatt. 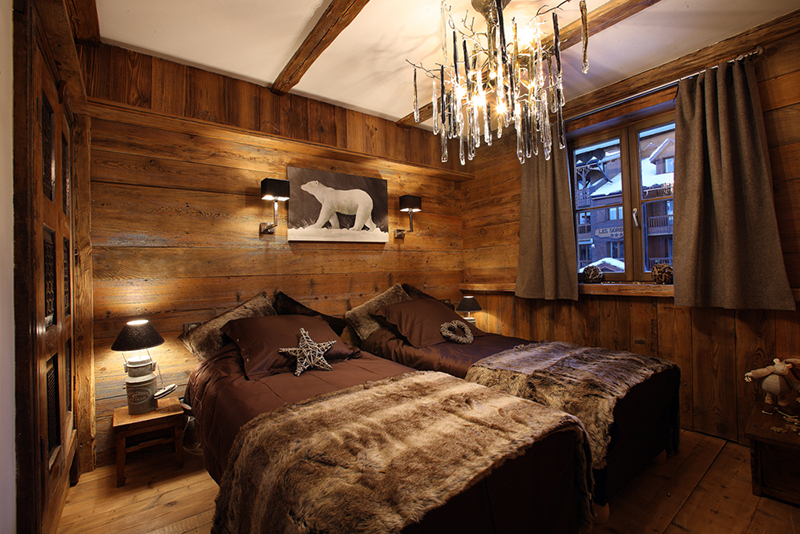 Each Chalet is named after a gemstone and all of them are drop dead gorgeous. 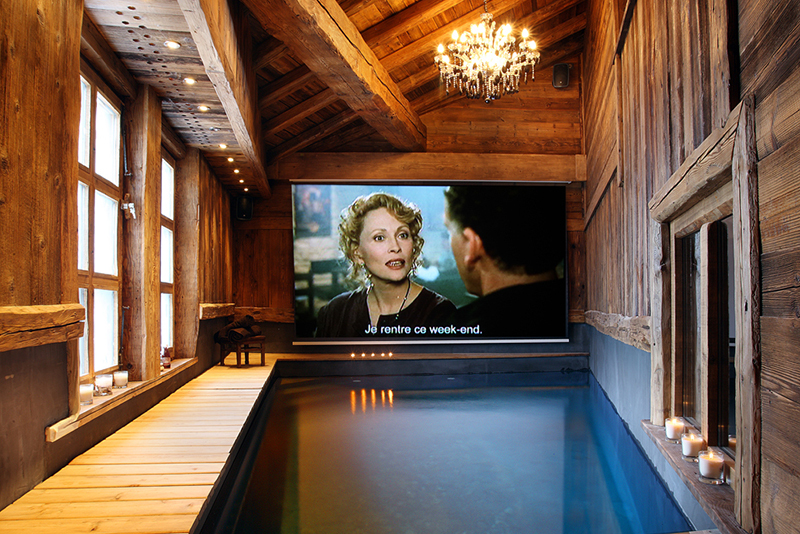 But the Citrine Chalet (also known as the Chalet L'Hotse) especially caught my eye with its combination indoor swimming pool/cinema (shown above). 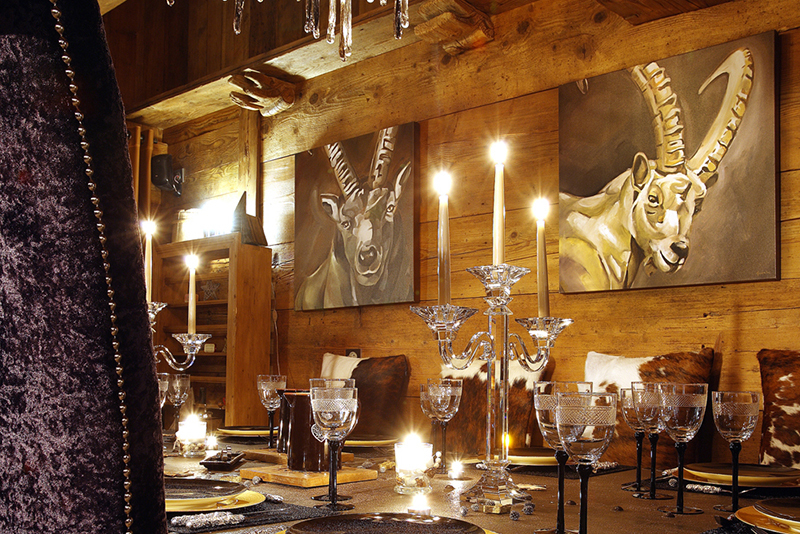 This 5 suite chalet sleeps 10 adults and two children and comes with a full professional staff, including a Michelin-trained chef, concierge, chambermaids and beauty therapist. 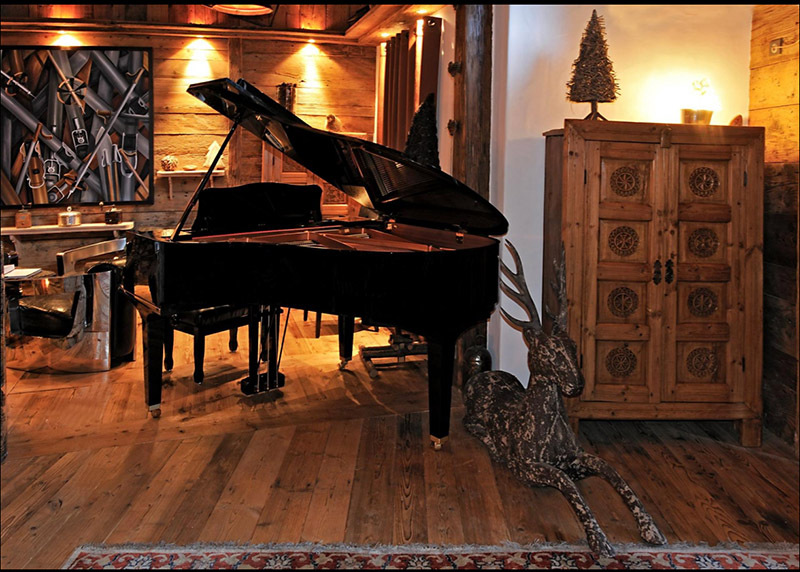 The Chalet Citrine has a spacious open plan living space, complete with grand piano, bar and a lounge, making it a great place for socializing. 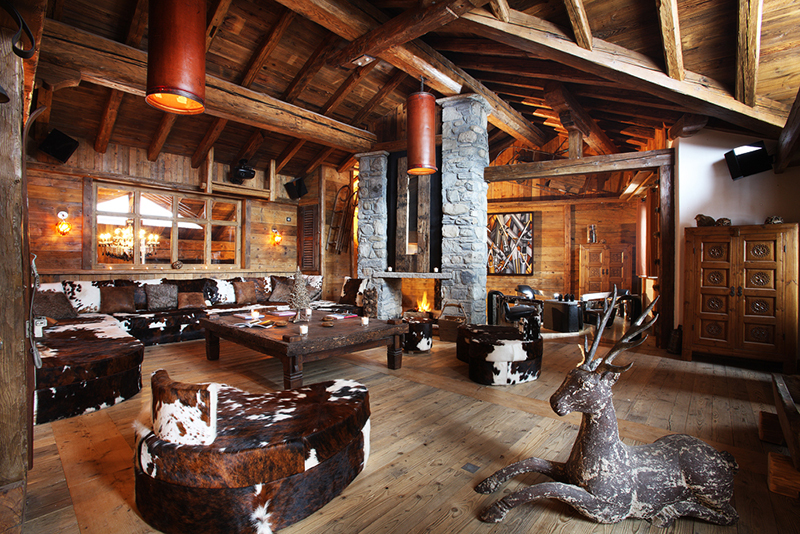 The main living area opens out onto various terraces and provides stunning views of the La Face piste. 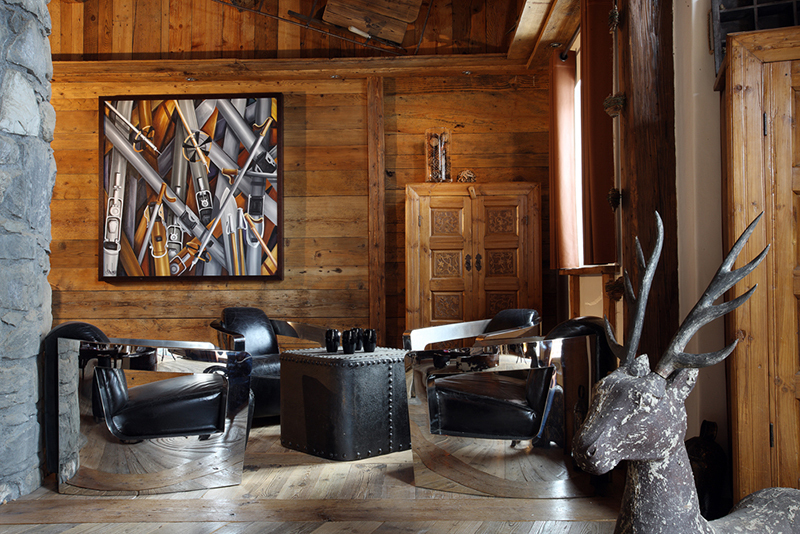 Your dinner is served in the adjacent dining room, which features both contemporary and characteristic cowhide chairs. The games room is the perfect place to entertain your little ones, while the reading room provides a hideaway that allows you to delve into that much anticipated novel. 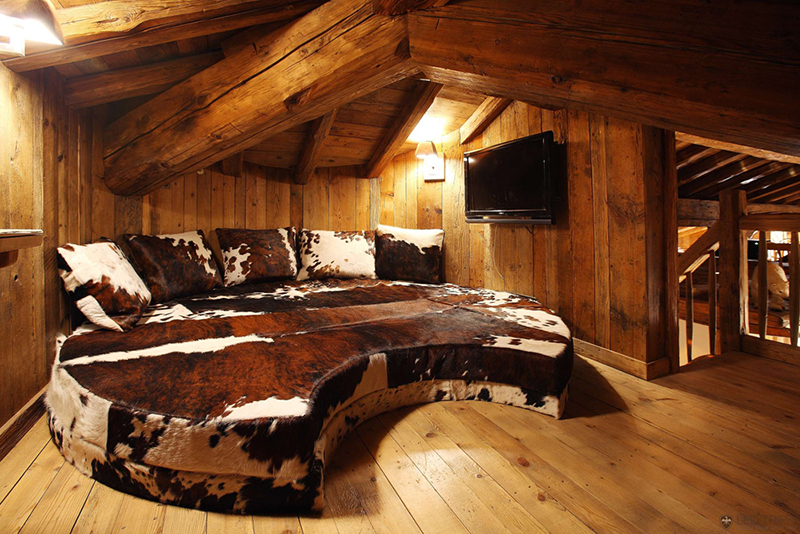 In addition to the adult bedrooms (each of which has their own en-suite bath and a balcony), there are two extra beds in a sixth room in the mezzanine for children. 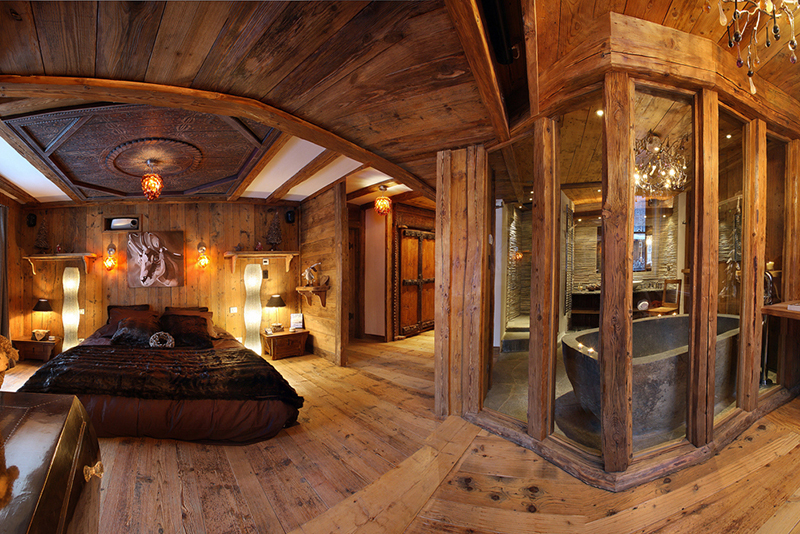 Chalet Citrine’s Master Suite displays a one-of-a-kind double bathtub, which has been cut out of a single piece of granite. 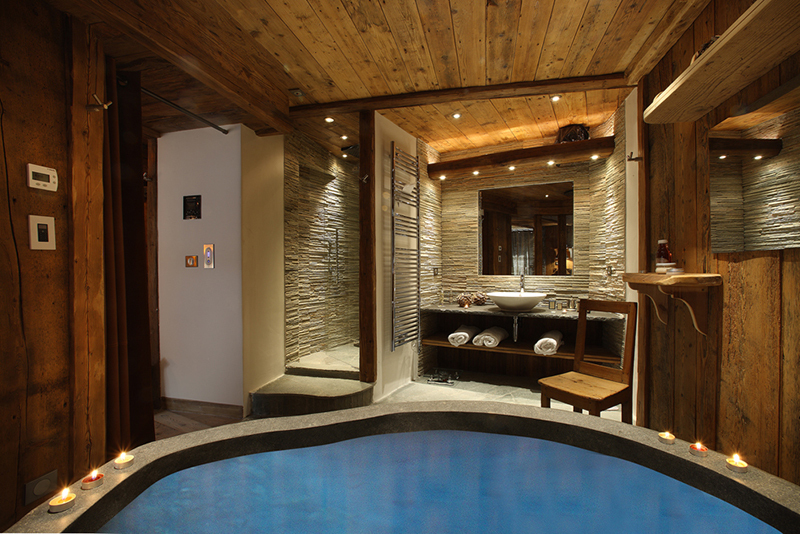 There is also a fully equipped gym, a massage treatment room, an outdoor jacuzzi, steam room and indoor pool with a giant cinema screen. 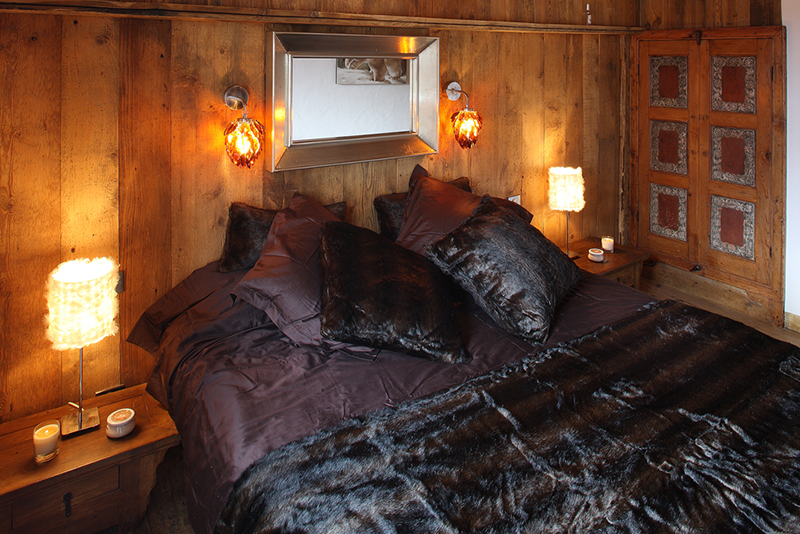 The Chalet combines a traditional alpine style with contemporary designer pieces and features impressive reclaimed Mongolian furnishings. 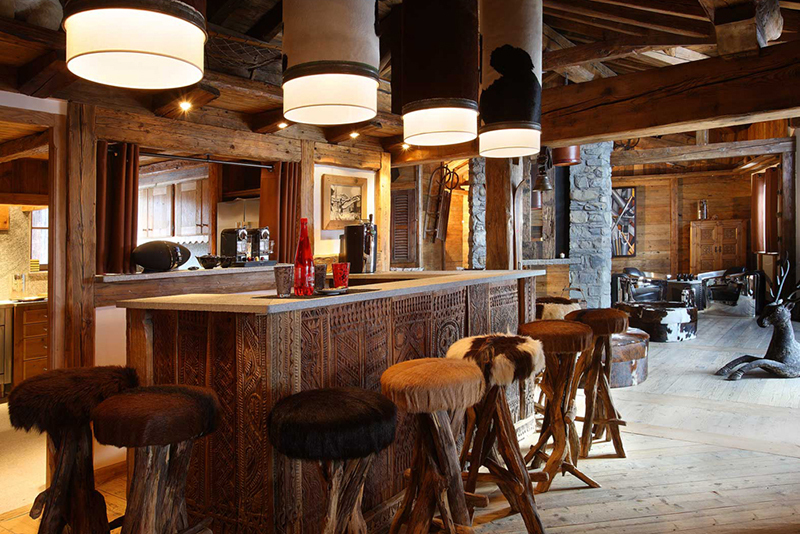 Sitting right in the heart of Val d’Isère, Chalet Citrine is just a short stroll to all the action of this buzzing resort and just a five minute chauffeured drive to the Solaise lift, one of the main lifts of the area. 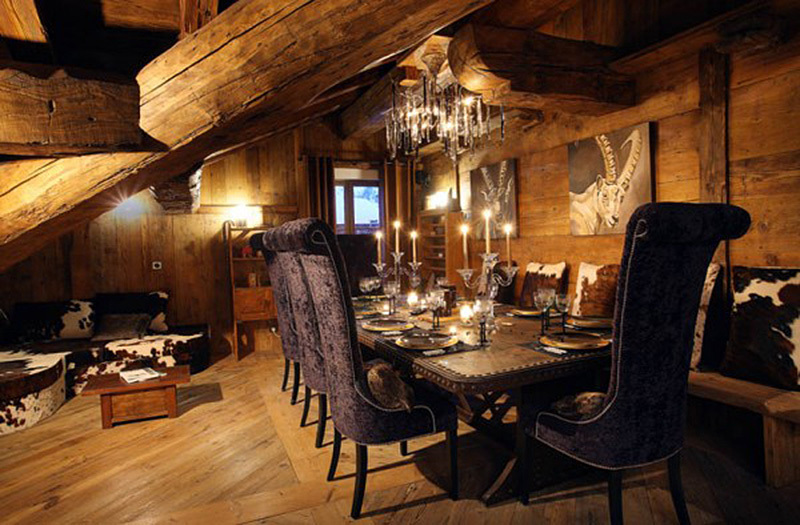 Chalet Citrine is the perfect location for a friends’ reunion or your family holiday. 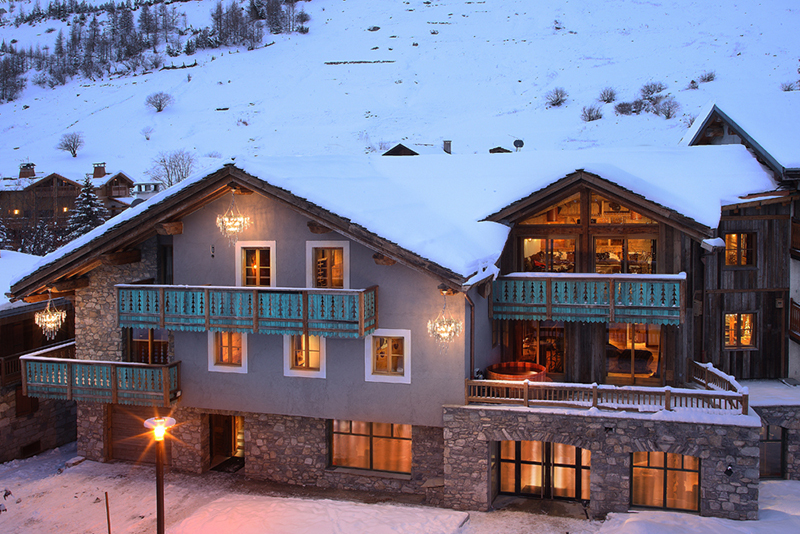 The legendary ski resort of Val d’Isère sits high up in the Tarentaise Valley, close to the French-Italian border, and showcases traditional Savoyarde architecture. 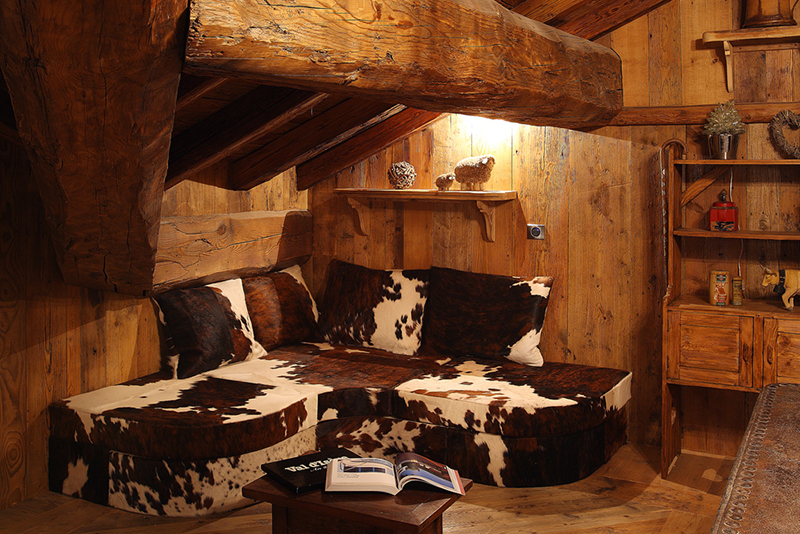 It owes its ‘must-ski’ status to its incredible snow record and easy, extensive access to off-piste terrain. 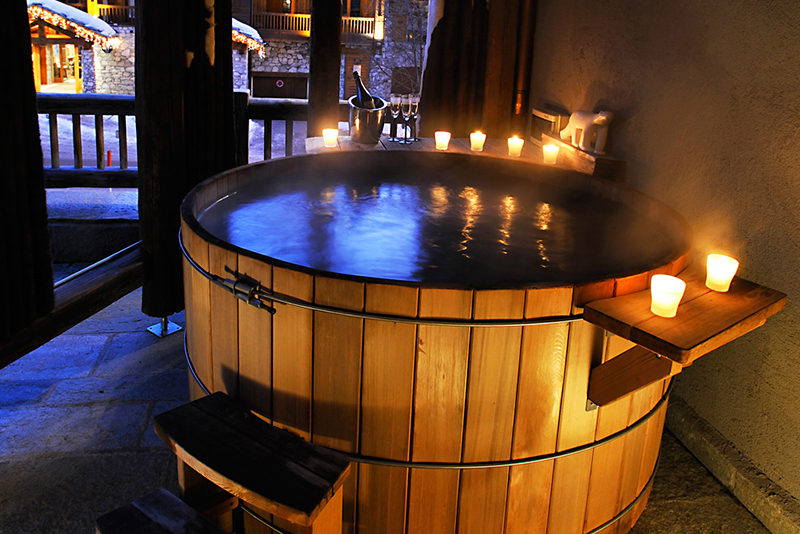 With skiing up to 3,600 metres high, Val d’isere is probably one of the most snow-sure villages in Europe: the Pissaillas Glacier even offers both summer and winter skiing. 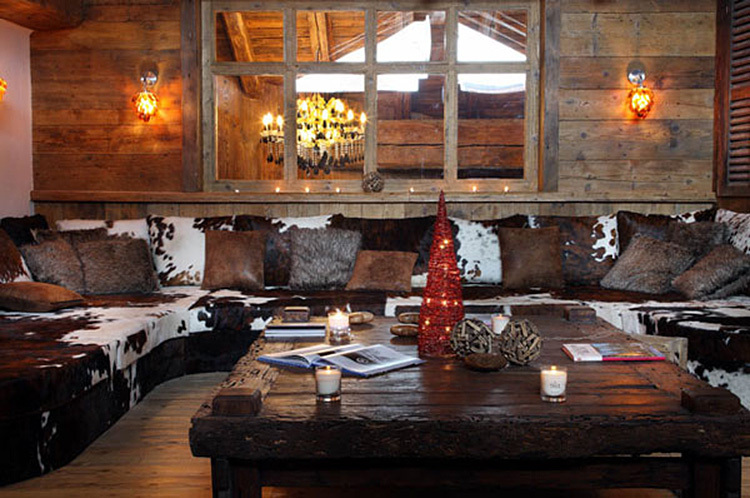 Sitting at an altitude of 1850 metres, it’s a firm favourite with expert skiers, who gravitate here to ski the infamous Olympic downhill run, La Face. 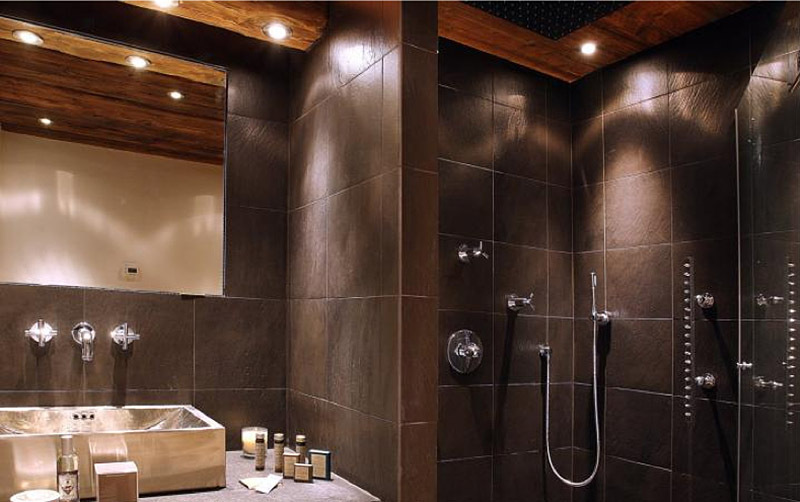 Nevertheless, there is plenty of variety for novice skiers and an almost infinite choice for adventurous intermediates. 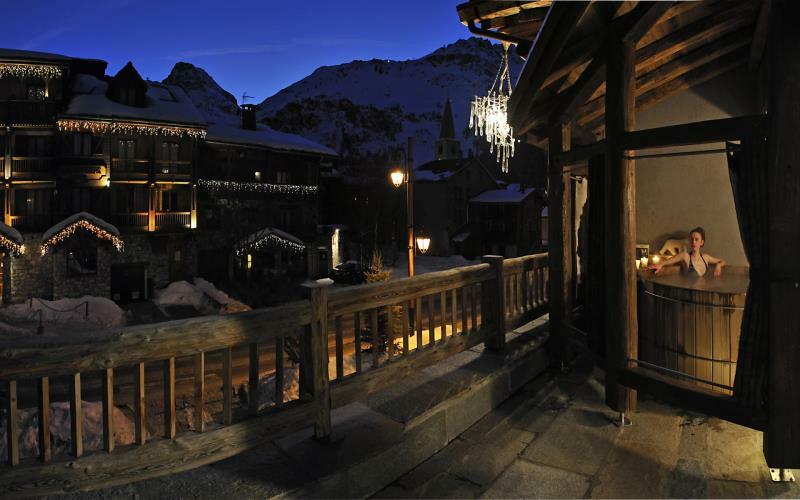 The Espace Killy ski area, which also includes the neighbouring resort of Tignes, boasts more than 300 kilometres of pistes alone. 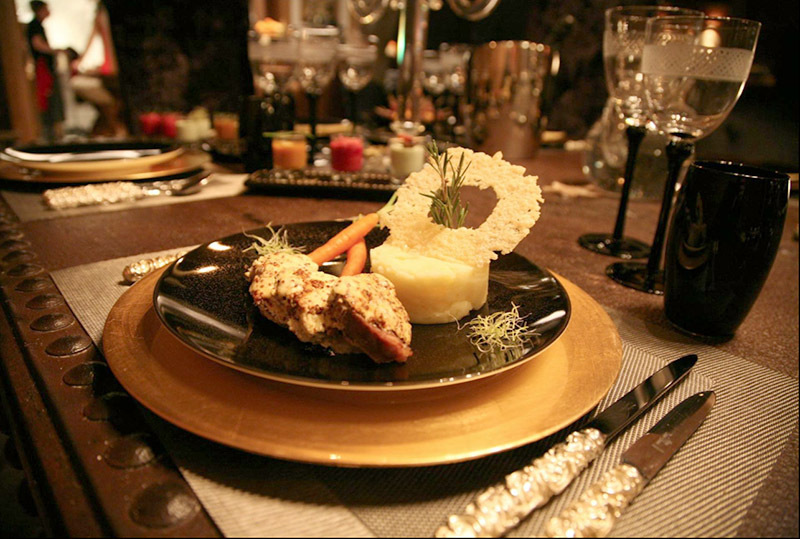 The attractive resort centre has a great range of stylish bars, boutiques and restaurants. In addition, both in summer and in winter, the Henri Oreiller Centre offers an Olympian setting for scientific conventions and motivational meetings for executives and sales teams. 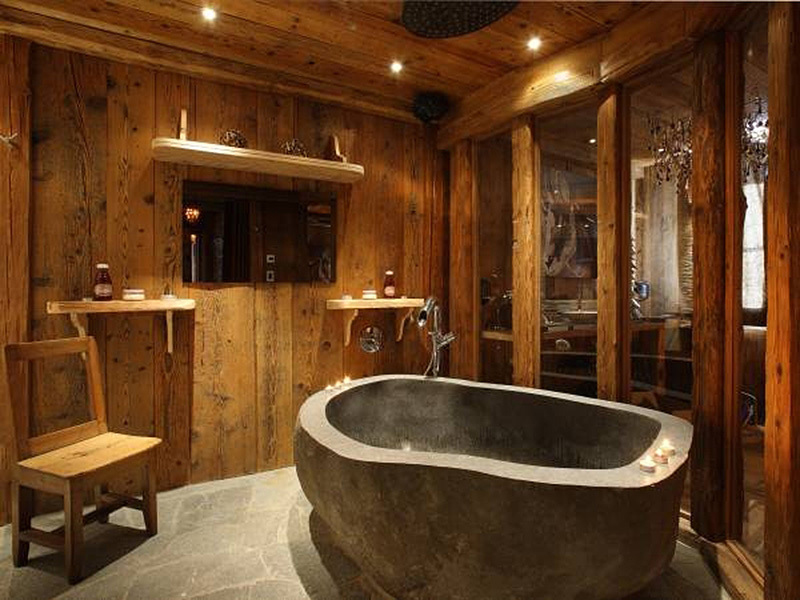 This property is also known as Chalet Lhotse and can be booked through the Oxford Ski Company and Val d'Isere Chalets along with other luxury rental companies.